Current imaging modalities enable early diagnosis of a large number of small acoustic neuromas in patients with well-preserved hearing, whose best management is still a debatable matter. Comparing the hearing outcome of the various therapeutical approaches, including observation, radiosurgery, or resective surgery, is not easy because of the numerous classifications measuring hearing in different ways. In this review, a literature review was performed and papers selected dealing with small tumors, short- and long-term hearing, tumor control or radical resection, and effect of pre-treatment hearing and size on outcome. 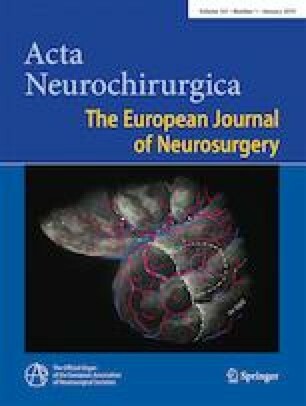 Two different surgical institutional series of sporadic vestibular schwannomas provided us comparative data on the outcome of observation alone. Our experience suggests that active treatment with hearing preservation surgery, unlike observation alone, offers a better chance of hearing preservation, also enabling a more effective treatment of the tumor and an appropriate rehabilitation with hearing aids or cochlear implants.